The Côte-d'Or (or Cote d'Or) is located in the north east of Burgundy, with a culture and cuisine that overlaps into the Champagne region. It is named after its world-renowned wine-growing region. The landscape is largely mountainous with green countryside, dark forests and numerous lakes. The southwest of the department has been given national park status. There are two main rivers, the Saone, which runs from south to east and the Seine, which starts its life in the centre of the department and continues on towards Paris. There is also a canal, which is a pleasant and relaxing way to explore the area. The world's most desirable vineyard region, the Côte-d'Or, stretches for 60km from Dijon to Santenay. Beaune, where Charlamagne once owned vineyards, is the de facto capital with its enormous network of cellars beneath the streets that are well worth visiting. One section, the Côte de Nuits, has the enviable nickname of 'Burgundy's Champ Elysees'. It is here that the most exquisite wines are produced. The vibrant city of Dijon is the capital of both the region and the department. Situated at strategic crossroads, the city has long been the focus of the region's cultural activity. The exquisite cuisine goes much further than its infamous mustard, as you'll soon discover by visiting the many fine restaurants found along its pedestrianised streets rich in medieval and renaissance architecture. Make sure you try Kir, a blackcurrant aperitif made with white wine. The esteemed local university, home to 24,000 students, gives the town a youthful atmosphere. In the 11th Century, the Dukes of Burgundy made Dijon their capital. The town reached its peak in the 15th Century, however, when it was heralded as the focal point of the European art scene. There are a number of art museums in the town today with the largest being the fabulous Musée des Beaux-Arts. If fine art's not your thing you could always visit the Musée de la Moutarde, a wonderful look at mustard making. Montbard is a charming town set on a hillside towards the north of the department. It was the home of the famous naturalist, Buffon. His botanical expertise eventually landed him the job as administrator of the King's Garden. However, his despising of big city bustle led him to give up his Parisian life to return to his hometown. 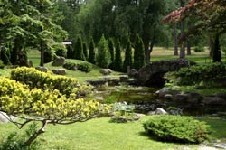 Today you can stroll around the impressive park named after him with its diverse range of plants and flowers. You can get to Dijon from London by train in just six hours thanks to the Channel Tunnel and the TGV service. Dijon has its own airport, although there are no services direct from the UK so you'll have to go to Lyon or Paris first. If you're arriving by ferry then the best ports to travel to would be Calais, Dieppe or Dunkirk. A favourite for retirees, Côte-d'Or is an expensive place in which to live. It is important to bear in mind that property within the wine-growing region will be subject to strict development rules. The most affordable property is to be found in the west of the department. Do you know Côte-d'Or better than we do? Do you have photos of Côte-d'Or? Côte-d'Or is located in the east of the Burgundy region of central France. It is home to the regional capital, Dijon.